tragedy and another finds their life purpose. 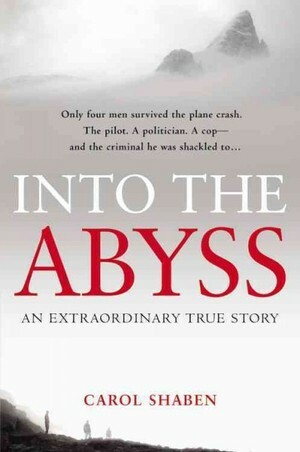 Edition aired an interview with author Carol Shaben, who wrote a memoir “Into the Abyss” about a plane crash in artic Canada, which her father was one of the few survivors. bumped to fit one more passenger on his 10-seater. But the young pilot was behind schedule and he felt like his job was on the line, so he took off, as he did most days, shuttling between the remote communities that dot the Canadian wilderness. start a fire with, no easy job in three feet of snow and subzero weather. Without this prisoner, feeding the fire the all would have died. The police officer had been a Canadian Mountie and recovered numerous bodies of people who froze to death in the wild and assumed they would die. a dramatic turn that way. return to everyday life, and few even curse God or reject any goodness to life. transforming power of love and friendship. and you can’t love by yourself. it tells us that even God does not dwell alone. has been given to us. Next postLuke 7:1-10 Amazing Faith!